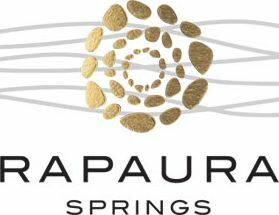 Rapaura Springs (pronounced Ra-para) is a unique oasis in the dry Marlborough landscape with natural underground springs providing a life source for the vines. This pure water enables the vineyards to produce outstanding fruit with minimal intervention. The logo represents springs water flowing from their stony aquifer. Within Marlborough there are many diverse microclimates and soil types. Rapaura is home to generous ripe fruity flavours, Wairau the pungent exotic fruits and passionfruit, Waihopai Valley and Ward add a flinty minerality to the mix with some citrus and the Awatere Valley giving generous herbaceous notes. They have taken each area’s qualities and blended them to achieve a full harmonious wine with pungent aromas and lovely acidity. Marlborough Sauvignon Blanc is synonymous with pungent fruity expressive aromas on the nose and full flavours on the palate, with a crisp acidity. This is achieved by harvesting the grapes when their flavour is at its peak, and then carefully treating them to protect what was harvested. The grapes were machine picked between 30th March-16th April 2013. The wine exhibits delicious grapefruit, passionfruit and gooseberry flavours with an attractive herbal note and juicy acidity. The perfect partner to seafood, poultry and creamy cheeses, especially goats cheese.